Origin of name  Christened the Century House when the Ridgeway Garden Club purchased it in the 1960s, approximately 100 years after the house's construction (3).
?  John Rosborough acquired the property (2, XII: 51). John Rosborough built a house (2, XII: 51). It is unclear what became of this home.
?  John Rosborough's son, Dr. James Thomas Rosborough, acquired the plantation (2, XII: 51). 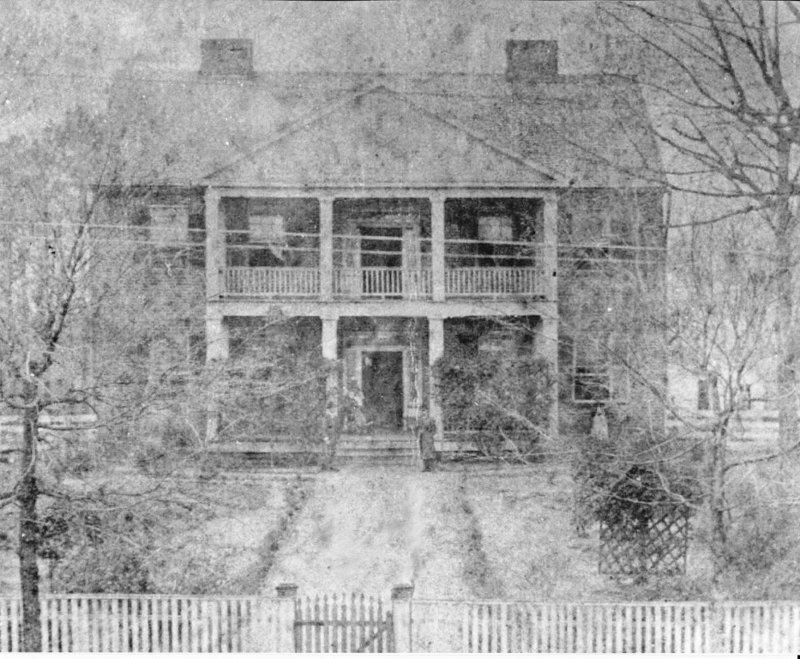 Circa 1842  Dr. James Thomas Rosborough moved to Texas and sold the plantation to James Buchanan Coleman (2, XII: 51). James Buchanan Coleman built the present brick house (3). 1872  James Buchanan Coleman died. His widow, Lucy Ascenith Hines Davis Coleman, inherited the house (3). After her husband's death, Mrs. Coleman ran a boarding house at her home due to its proximity to the Ridgeway depot. 1891  Lucy Ascenith Hines Davis Coleman, known as Miss Cenie, passed away (3). 1960s  The Ridgeway Garden Club purchased the house (3). 2007  The house was renovated.
?  The Century House became Ridgeway's town hall. Number of acres  Angie Arndt shares with us, "[I am] not sure of the number of acres, but the plantation was said to have stretched to a road called the Devil's Race Track (still called that today) more than seven miles away." 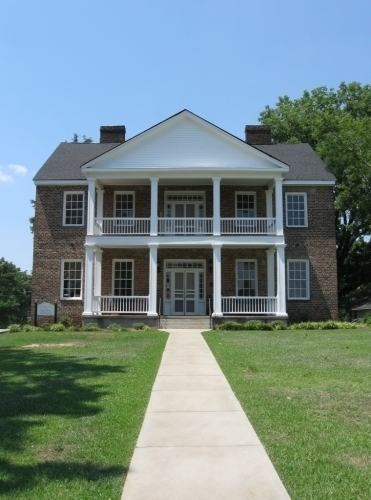 The house's bricks were made at the plantation and the walls are one-foot thick (3). Information contributed by Angie Arndt. Information contributed by Steven Durham whose great-great grandfather, James Buchanan Coleman, owned the plantation. Steven and his brother own 33 acres in Simpson which was part of the plantation's orignal property.